How to play your favorite songs? Chord melodies and chord solos? You can learn all of this, and more! I teach electric, acoustic, slide, and left-handed methods, 6 string or 12 string. 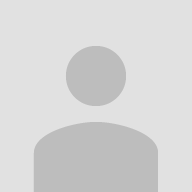 Watch the videos to learn a little bit more about me and what I can offer you, or read some testimonials from happy, long-time students. 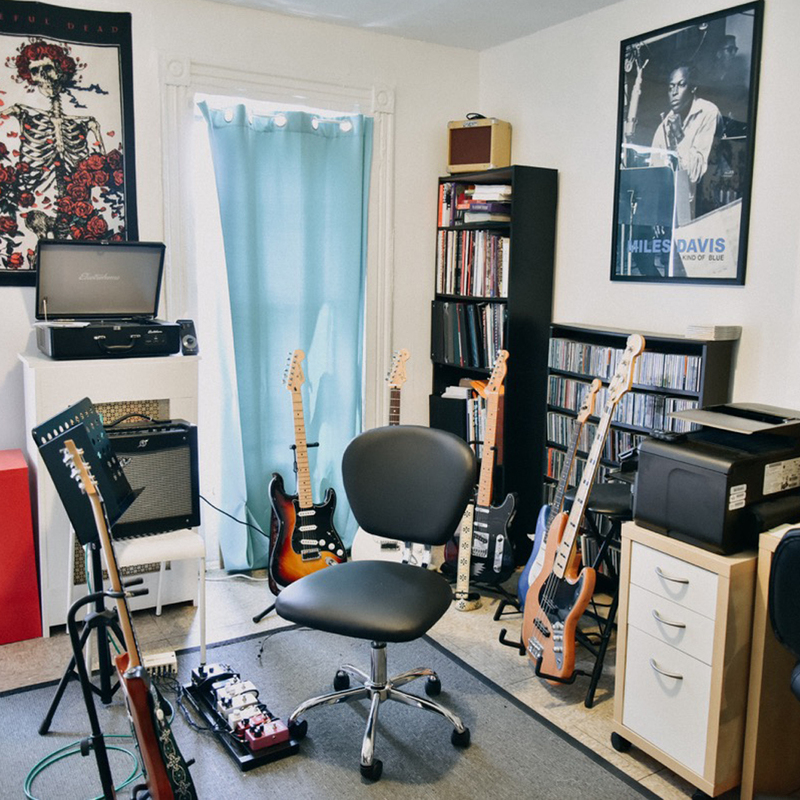 Adam does a remarkable job of crafting a guitar program tailored to you. He considers multiple factors, e.g. from your level of skill and ear, to practicing habits and how your schedule affects them. His personable and structured approach will develop your dexterity and feel of the instrument, while ultimately getting you to learn the songs and styles you're eager to play. 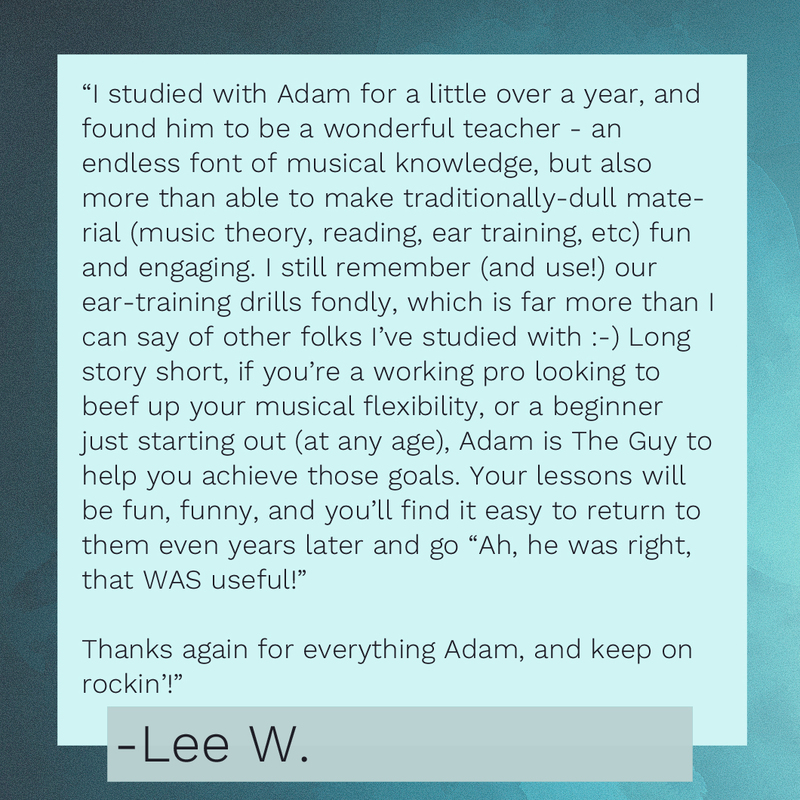 These reasons and more are why I continue to study with Adam, and highly recommend him as a teacher -- whether you're just picking up the guitar, or looking for direction in advancing your skills. I’ve been a student of Adam’s for several years. His knowledge of guitar, and music in general, is astonishing. The man could probably play anything on guitar. Yet he is incredibly down to earth, humble, accommodating, and patient. Under his tutelage, I’ve seen my own ability on the instrument increase tremendously. There’s always more to learn, and Adam presents it so that you are excited to learn it. Adam is a fantastic teacher! I studied with him for a few years when I was in high school and I always loved my lessons with him! He is a really amazing guitarist and so knowledgable. I highly recommend him! I’ve been taking private lessons with Adam for roughly 2 years. He has a huge repertoire of songs that target specific areas that you need to practice most, and he can listen to any song that I bring in and notate it on the spot. He’s really knowledgeable and as I learn new songs, he’s able to incorporates music theory into the instruction, too. It’s great because I’m not only increasing my ability to play the guitar but also getting an understanding of the underlying structures that the songs are built from. 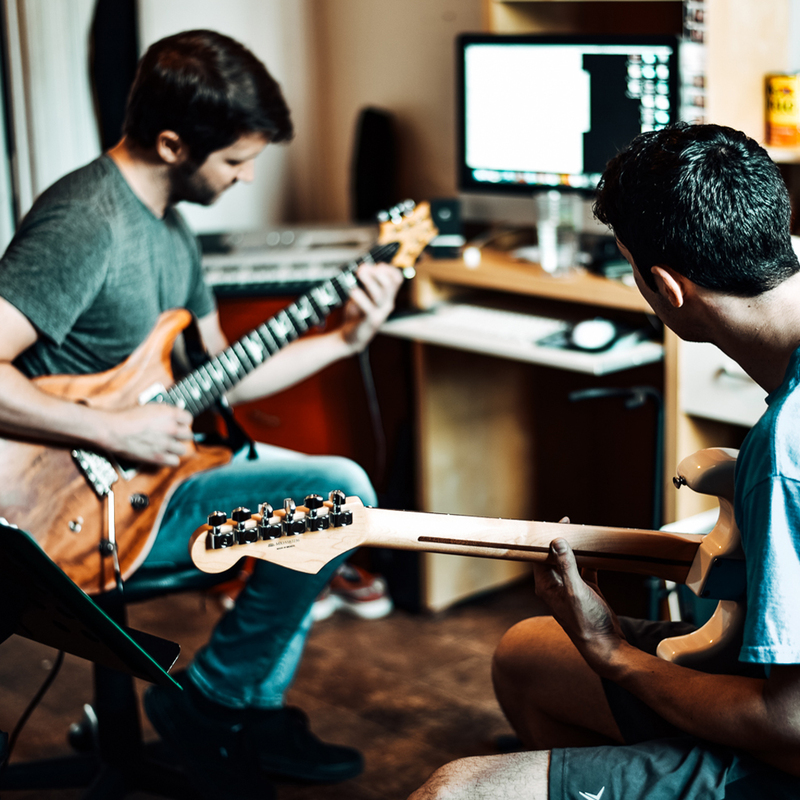 Adam has an innate ability to push me through difficult practice sessions, and he’s great at motivating me to stick to practicing even when other things in life eclipse how much time I can allot to playing the guitar. If you are looking for a guitar teacher who is deeply knowledgeable, enthusiastic about teaching you, and a pleasure to study with, you will find all these qualities in Adam Douglass. I enjoy the creative, thoughtful, and inspirational approach that Adam brings to each lesson. I also appreciate his excellent ability to communicate musical concepts. I find him to be genuinely dedicated to helping me progress and have fun playing. A superb and versatile professional musician, he also is an innovative educator who teaches many styles of music with unfailing patience and grace. I feel fortunate to be a student of Adam’s and I heartily recommend him to students of any age or level of experience. I highly recommend Adam to anyone looking for a guitar teacher. I’ve been learning with Adam for the last 3 years and look forward to our weekly lessons and continue to learn, improve, and develop my playing and musical knowledge. Adam takes his time to coach and develop your skills and puts his energy into improving your technique. Adam has a great ability, and patience to work together on overcoming any challenges. His vast musical knowledge and passion is totally inspiring and makes learning so enjoyable and exciting. I studied with Adam for a little over a year, and found him to be a wonderful teacher - an endless font of musical knowledge, but also more than able to make traditionally-dull material (music theory, reading, ear training, etc) fun and engaging.  I still remember (and use!) 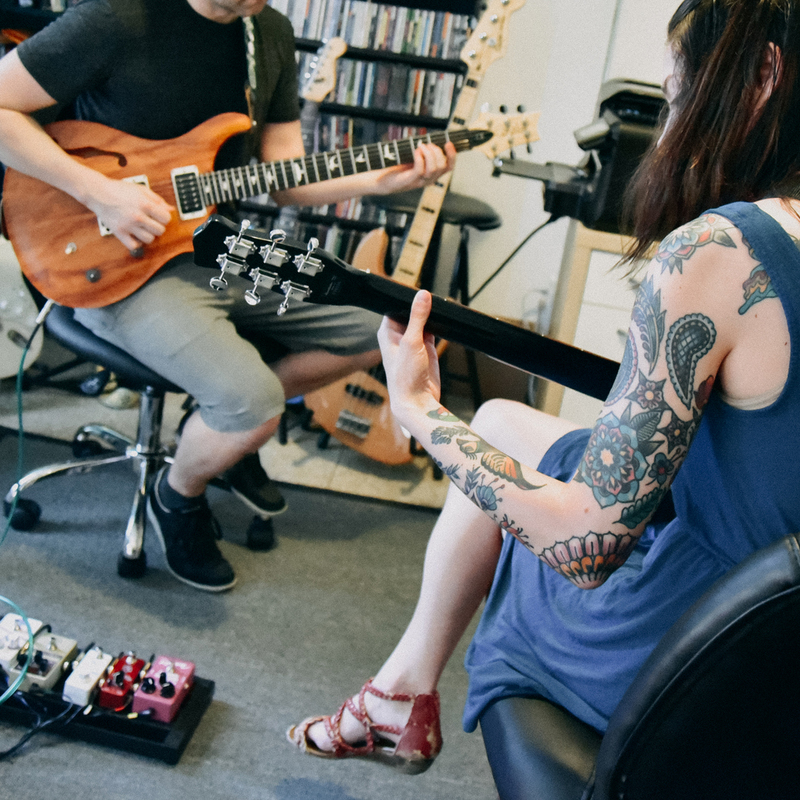 our ear-training drills fondly, which is far more than I can say of other folks I’ve studied with :-) Long story short, if you’re a working pro looking to beef up your musical flexibility, or a beginner just starting out (at any age), Adam is The Guy to help you achieve those goals. Your lessons will be fun, funny, and you’ll find it easy to return to them even years later and go “Ah, he was right, that WAS useful!” Thanks again for everything Adam, and keep on rockin’! Adam is a good person who cares and is kind. His teaching comes from that. No question is stupid. He takes you where you are, listens to what you know and what you want to learn and develops a lesson plan that will help you grow as a player and as a writer. He is not insecure and has no need to show off, but he has a lot of info and experience to share and loves teaching. Wherever you are in Music as a player or writer Adam will add to that to help you get to your sound. I'm so glad I started taking classes from Adam! He is very kind, patient and takes the time to customize lessons for each student's skill level and musical interests. I had no prior guitar experience, and have learned so much more from him than I could have on my own. I was daunted by how much there is to know and learn about guitar, but he has made it approachable and fun. If you are seeking a guitar instructor, look no further! Adam is an excellent teacher! He's patient, personable and flexible when it comes to finding whatever style works for you. 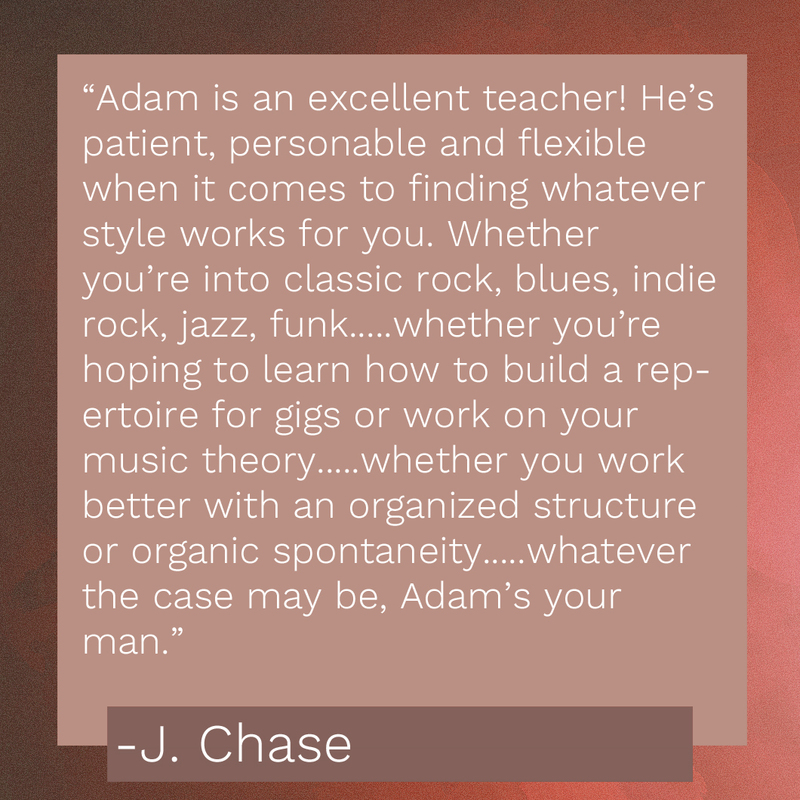 Whether you're into classic rock, blues, indie rock, jazz, funk.....whether you're hoping to learn how to build a repertoire for gigs or work on your music theory.....whether you work better with an organized structure or organic spontaneity.....whatever the case may be, Adam's your man. In just 2 months, I've seen tremendous improvements. Not only has he sharpened my guitar playing, but he’s given me the tools and confidence to explore music theory, which is something I’ve struggled with for years. Adam is just as talented of a teacher as he is a musician; His lessons are curated for each of his students, which gives you a clear pathway towards your goals. Most importantly, he’s a personable dude and is great presence to be around. There is no question I will be working with Adam long-term! No two people learn things the same way, so my process varies greatly from person to person. I will approach a lesson completely differently for a 5 year old who has never played an instrument before versus an adult who has played their entire life. What is consistent with every student though, is that I make sure they are having fun when they pick up the guitar. Having the love of playing your instrument is what makes you want to pick it up every day, and playing every day is what makes you better at it. I have over 25 years of active study of the instrument, and even when I'm not actively taking lessons I still practice for many hours every day. I have been teaching lessons for over 20 years now, so I can get a sense very quickly of what a student needs to do in order to take their playing to the next level. See my website for pricing to take lessons in my Brooklyn (Bushwick) studio. I have worked with students of all ages and all levels, from children under 5 years old to other professional musicians trying to get their playing out of a rut. From special needs children to retired adults who want a hobby for all the free time they now have. "Do I have the time to devote to practicing every day?" 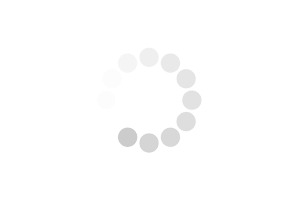 "Where do I want my musical abilities to be in 5 years? "What should I expect in 5 years with daily practice of the right things?" "Do I prefer lessons planned out in advance, or geared towards how my practice sessions went the previous week?" "Is my teacher fond of teaching the style of music I want to learn"